This week Lucia and Hannah talk about just what makes dairy so darn delicious, so darn tough on digestion, and such a broad category! 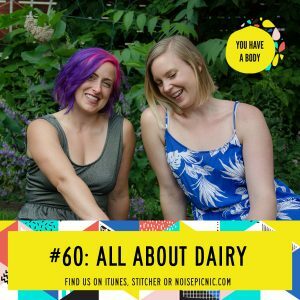 If you’ve been curious about how dairy feels for you in your body–give this episode a listen. Like what you’re hearing? Great! Leave us a review in iTunes and we’ll send a personal shout out on an upcoming episode to you!